Discover whether Earthing Therapy is the perfect anti-inflammatory and anti-oxidant for people recovering from inflammatory diseases? Earthing Therapy is only for wuu woo barefoot hippy, nudist natural health nuts? “Earthing the Most Important Health Discovery Ever!” First published in 2010 (now in it's second edition), translated into more than 12 languages, a book I think should be read by every health professional, so that's why I dove in and created this review, just for you. Earthing therapy "Earthing" three authors, Clint Ober, Steve Sinatra, and Martin Zucker have put together their individual earthing experience, expertise, research, and down to earthing, writing skills to prove their point: that they have found the earthing therapy link to the exponential increase in immune and inflammation related diseases over the last 20 years. Maybe you suffer from one of them too. "Earthing Therapy"? How on earth can that be? 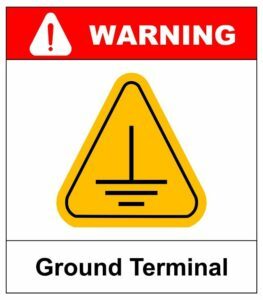 In my mother language, the German synonym for earthing, “erden” is an electrical term, meaning “grounding”. So that title is right on, and I am not going to google it now, because the bare footprints on the book cover give it away. Anyway, in my youth, barefoot health seekers were a common sight, wading in line through morning wet meadows glistening in the sunlight. Folk doctor Pfarrer Kneipp’s health recommendations still reverberating in their ears. I remember just how enthusiastic they seemed. Now these people are looked upon as health nuts, or what they are doing as something even ridiculous, or at least unscientific. Finding myself in that kind of mindset while taking a first glance at the book I found it hard to believe, what I was reading. That merely by touching the ground with your bare feet or merely touching the surface of the earth, you could get the wide benefits of earthing therapy by being electrically charged up with energy, just like a rechargeable battery. That the earth has an electrical charge, and that it is negative, and that the body has a voltage with a positive charge that accumulates when out of touch with the earth, and so on, all that I did not have the foggiest idea earth therapy, or at least was not fully aware of. Doubting the claim that merely grounding yourself was supposed to literally charge you up like a car battery and thus take care of major illness, I read on. I was familiar with the concept of the body as a battery, from using a microcurrent device on myself, but at least that is running on double AA batteries. The concept that the earth itself, or “herself” I am tempted now to write, that “Mother Earth”, (how unscientific a term), should give off these healing forces directly, off grid, even without Double AA batteries, did not settle so easy yet in my brain. The earth having current and giving it off to us with every barefoot step we make? Can earthing therapy cure you and relieve screaming pain? Could it then do the same like my electrostim device claims it can do,could do, reduce pain, energize, and rejuvenate, including taking care of illnesses, as the book claims? Even solving the current health crisis like the authors claim?? In my opinion, only a miracle could do that. In that book full of miracles, “Autobiography Of A Yogi” Yogananda quotes that very image of the body as battery when he writes about teaching a class of boys a secret technique, how to charge themselves up with energy. “Realizing that a man’s body is like an electric battery, I reasoned that it could be recharged with energy…”. But he goes on saying, that it was done with “powers of the human will”, i.e. mental power. Yogananda does not mention the electric charge of the earth, as far as I know. And this is something most of us are not aware of even nowadays with all the talk about physics and even biophysics. But most medical doctors did not know. Steve Sinatra, M.D. comments on this, “electrical engineers know, that the earth is pulsating with free electrons. Medical scientists didn’t know that, but they did know that the body is electrical in nature” and that only a man like Clint Ober, was able to “put two and two together”, with all his knowledge of electricity and grounding cable TV systems that helped him to grasp grasped the idea of earthing therapy with all its health implications. Clint Ober, as an electrical engineer knew about interference. Being disconnected from the earth created that. It slowly dawns on me, that grounding earth therapy or going barefoot indeed can charge us up enough to get over our health problems, as the book suggests, such as pain, sleep problems, arthritis, fibromyalgia, even diabetes and heart problems, all inflammation related. And In this book there are plenty of studies, research results, tables, charts which prove it, and lots of testimonials, from doctors, therapists, practitioners, and clients. One might get worried, thinking, am I going to read all about diseases and research? Is the book maybe too technical for my scope of understanding? The answer is, yes, and no. Yes, it does challenge your attention span and willingness to learn something new, and no, it is written for the lay person in search for a better world. No medicalese or in Latin! Even better, this reads like a book written with a cause, with passion, human touch, personal anecdotes, and enthusiasm, and it is definitely about health, not just sickness, and comes with a grand vision and solution, and it is written in an endearing style by these down to earth authors: First of all, Clinton Ober, (see the bio section at the back of the book), who as stated before but stated again because it makes a good story, started as a cable TV salesman, rising into the largest U.S. cable marketing and service industry and then crossing over into computer streaming. Then there is Gaetan Chevalier, biophysicist and electrophysiologist, “specializing in the body’s electrical wiring” who contributes and covers the science side. 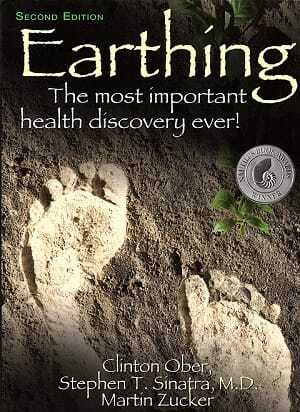 The first earthing therapy book ever written, how can that be? Did not folk doctor Kneipp have it down already? The book even mentions several other names, predecessors in the barefoot tradition, an Adolf Just, who already in the early 1900 wrote a book on earth power, “Return to Nature”, advocating walking barefoot and sleeping on the ground. Then there was the late Dr. William Rossi, a Massachusetts podiatrist, quoted at length, who in his writings strongly disapproved of fancy dress shoes, identifying them as the culprit and emphasizing the “intriguing connection between the foot and the ground”, and also a Frenchman Matteo Tavera who in 1969 in a “largely unnoticed book” wrote about the unhealthy insulation from the ground, blaming separation from Nature as the cause of degeneration and illness. More or less it’s the same reasoning then as now, only that today we have arrived at a level of degeneration and illness where medicine is unable to prevent nor treat all this chronic inflammation and the wave of illnesses that stems from it. Inflammation and inflammatory disease, the book quotes, is the number one most researched yet unsolved health problem that cuts through all age groups, even children. There is, globally, an ”unprecedented rise” in inflammatory and immune dysfunction, like allergies, just to name one, and the mind puzzling question keeps researchers occupied, with 20,000 new studies on inflammation now every year. However, author Clint Ober insists, and already has, for 15 years now, that he has found the missing link, and it is grounding people to give them earthing therapy. I must admit, not until I got to the part when coauthor and cardiologist Steve Sinatra writes in detail about the multiple studies he did on grounding, that I stop doubting the book and its claim. Is it, because he has an M.D. to his name? How brain washed can I get? Is it that same prejudice, that Clint Ober had to endure when he tried to break into the scientific community with his discovery? Turning to doctors and scientists to back up his observations on grounding people and what it could do, and only getting shrugs, or even laughter, as a response. And only that, until, finally, at an electromedical conference in San Diego, he meets a like minded doctor in Stephen Sinatra, and showing him back to his RV in the parking lot, introduces Sinatra, and two other scientists, to his earthing hypothesis. As Sinatra puts it in the book, for him at that moment, “a door to a new healing frontier had been pushed open”, and that, “by the most unlikely of individuals”, Clint Ober, a man (,here we go again), successful in the cable TV and computer worlds. As Ober describes, the whole idea about earthing came into being, when, one day he was resting on a bench, focused on tourist’s feet how they moved in and out of his field of vision. This scenario, maybe not by accident, happens to take place in Sedona, which attracts tourists for its new age power place appeal, vortexes and “earth magnetism”. Could it be, Ober reasoned there, that thick soled running shoes, as they were worn by these tourists, could insulate them from “Mother Earth” and so interfere with their health? Ober was getting on that train of thought, because he himself was suffering from terrible chronic pain, was on pain and sleeping pills, constantly, and was seeking a solution. Wondering about and asking himself that question about these running shoes, he got impressed by the possible consequences. Suddenly he felt, he had found an answer to a mystery that would solve the riddle and it made him feel that suddenly, he had found his purpose in life, something he had been looking for all this time and up to this point. Getting hooked on earth therapy and that connection he made between the running shoes and health, right there and then he decided to take off in his van and go to California. He wanted to prove it, first to himself, and then, to other people that grounding was the answer. Little did he know how hard it would be to convince others once he had proven it to himself. 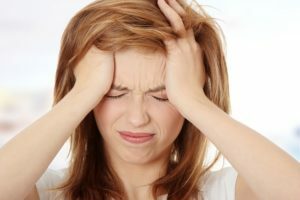 “ I came to the conclusion that nobody had researched the grounding-health connection”. Sinatra writes, “he had just a bare beginning of scientific evidence to back up his observations”. It had been a long haul even before he got counsel from university sleep lab students on how to conduct double blind studies which would count in a scientific world. 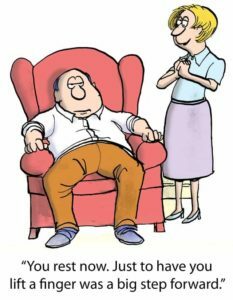 To begin with, he had grounded countless families knocking on thousands of doors in search for volunteers to do a study on grounding, with a nurse in tow who was very helpful in making the connections and following up on grounding tests, for many years. And then venturing into manufacturing products to make earthing more attractive and even doable took years. when suddenly there was a demand and he came to design viable grounding bed sheets, which nowadays are readily available on Amazon. not only the doctors and scientists but myself included, because I admit, when I first read about it, earthing being a "earthing therapy" sounded hard to believe, that merely walking barefoot you could reverse inflammation and the most serious health conditions. "the natural frequencies of the Earth (and he spells it always with a respectful Capital “E!” )…”are waves of energy caused by the motions of subatomic particles called free electrons...Electrons have a negative charge. It is these electrons that give the Earth’s surface a natural, negative charge….Maintaining contact with the ground allows your body to naturally receive and become charged with these electrons. “Earthing influences human physiological processes”, ... helps “regulate correct functioning of the nervous system and significantly influences the electrical activity of the brain”. Amazing, (and here we go again once more), that a medical lay person like Ober coming from cable TV’s electric engineering would visualize a medical breakthrough like that, when doctors could not come up with any of this, nor would most of them even listen to him. “frustration with the medical and scientific community that had shown little or no interest in grounding”. With Sinatra joining in, and with other names in electrophysiology and biophysics, like Gaetan Chevalier, biophysicist James Oschman, Ph.D., author of “Energy Medicine: The Scientific Basis”,and another cardiologist Richard Delany, earthing therapy grounding studies started really rolling, revealing and measuring f.e. dramatic thinning and decoupling of blood cells, after 40 minutes of grounding. 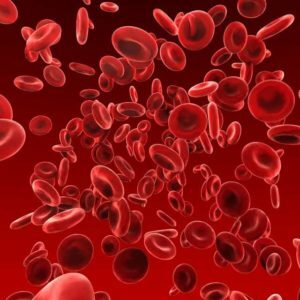 Another study measured a 270% improvement in zeta potential (degree of negative charge on surface of red blood cells which repels, preventing unwanted aggregation), after two hours of grounding. Sinatra explains: zero zeta potential means sludge, thick slow flowing blood with more risk of clumping or clotting, causing “traffic jams”. After grounding and earthing, red blood cells moved along briskly, whereas before there was barely any movement observed through a dark field microscope. “Earth’s electrical charge is always negative,” and…”.. able to reduce a positive charge. “ And since grounding reduced people’s pain, “that suggested”, that “pain is related to positive charge”. Then Ober, after his own sleep study with volunteers, had lucked out in winning over a doctor who, at least, wanted to “prove” him “wrong”. “Whereas the first study was based on people’s subjective statements, this second study measured cortisol levels, “thus providing an objective measurement of how earthing would improve sleep problems, pain levels, and stress”, or not. It takes a good mind to follow in the definition of “inflammation”, by now identified as the source of all trouble. Inflammation is a response from the body needed for healing, initially. “had recognized that injured and inflamed arteries might be a source of heart attacks”. Nowadays, the cholesterol theory is going strong, and the lowering of cholesterol “has become a medical obsession”, the book states. However “medical research has shown that half of all heart attacks and strokes occur among people with normal cholesterol levels”. Harvard cardiologist Paul Ridker, M.D. observes that normal to low cholesterol levels can lull people into complacency, when instead it is elevated CRP( indicating the presence of inflammation) that can put them at ”increased risk for cardiovascular trouble” without them knowing about this. Dr. Ridker, lead researcher in this Harvard heart disease study, concludes that “we have to think of heart disease as an inflammatory disease”. After reading all this evidence given from tests done with grounding, and the implications for medicine, things get really exciting for the reader. Suddenly all my doubts are gone, and while I keep reading I get my partner to order a grounding sheet and grounding pillows, after I have taken a pass on getting too distracted on line by all the different kinds of attractive grounding shoes and sandals, just for now. All kinds of products are being designed now to ground and to take care of the rampant “electron deficiency” humanity is suffering by living modern lives, the book informs. Luckily we now get to know, the earth surface has an abundance of negatively charged electrons, and by being in touch with it, electrons are replaced in our electron deficient bodies, the inflammation generating free radicals are nullified, and health can start happening again. So finally, as coauthor Martin Zucker puts it aptly, and with humor, earthing would mean, “exploiting our planet- for a change in a most magnificent way”. 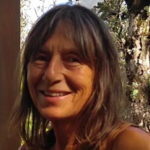 The book’s contributing scientist, electrophysiologist Gaetan Chevalier, UC Irvine, writes, under the headline “The Physics of Earthing, simplified”: “Our research leads us to conclude that a lack of grounding leads to internal electrical instability” which becomes a “precursor” for dysfunction and illness. Are you electron deficient? Then Earthing Therapy is your answer. So this is serious stuff, and people don’t seem to be aware of any danger signals. In much detail he explains Earth’ negative charge, and under another heading, “Technical Notes on Grounding and Earthing Methods”. These details would involve studying more in depth for a lay person like me, and I cannot responsibly reiterate but I am glad I browsed over them, because it reassures that all this is scientifically sound and grounded, and measurable. “Contact with the surface of the Earth maintains the body’s electrical stability, and its “self regulating and self healing mechanisms”. That remark stands out for me, and now I can’t wait to test out for myself if grounding alone can do the things my microcurrent device has done for me, like “recharging my battery,” energize, reduce pain, relax, even rejuvenate. I can’t wait, to go ahead and start earthing, and, like Martin Zucker puts it in his dedication “To Rosita”, with the “prospect of exploiting our planet- for a change in a most magnificent way”. I can’t wait to follow James Oschman’s suggestion, in the book’s foreword, earth’s “limitless healing energy, “it’s there and always there, and yours for the taking”. 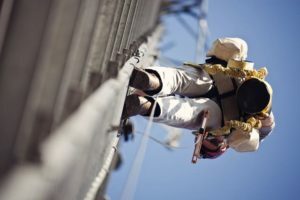 I have not gotten far enough in my grounding and electricity studies to have my many questions answered. Or are they possibly “ungrounded”? Is my double AA battery run microcurrent SCENAR or DENAS doing a similar, or even the same thing? Is it “just” the earth frequency of 7.8 hertz that I am getting with grounding? How does that compare to the 7.8 hertz with a special microcurrent frequency in my DENAS PCM 6 device. Do both approaches to remedy the electron deficiency in the body have the same result? Could they be used interchangeably? What does one add to the other? Do they complement each other? What are the differences? 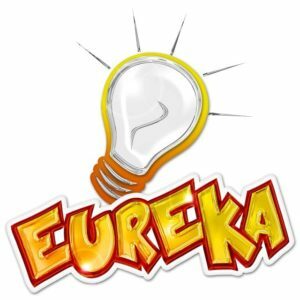 How is earth electricity different from microcurrent? Can they replace each other? But that would be a whole different discussion. Dr. Sinatra does mention microcurrent devices, but his focus in this book is naturally on researching grounding, and in the meantime the answers to these questions will have to be found elsewhere. I wanted to conclude this Part One of my review with some good news, the grounding sheet has arrived yesterday and I already have been tested it out last night. Since we live off grid here on home made solar power equipment, on the Big Island of Hawaii, we had to fix up a socket in order to be able to plug into a grounding wire, and I slept grounded, even felt slight tingles, and had an good night. In part two I will go over more research data, mining out the book once more, and update more of my own experience with grounding and earthing therapy. Earthing the Human Body Influences Physiologic Processes, Editorial: Chronic Disease: Are We Missing Something? James Oschman, Ph.D., Gaétan Chevalier, Ph.D., A. Clinton Ober, Biophysics of Earthing Therapy (grounding) the Human Body, in Bioelectromagnetic and Subtle Energy Medicine (CRC Press), 2015.